Seadrill Ltd., the offshore driller controlled by billionaire John Fredriksen, filed for bankruptcy protection after working out a deal with almost all its senior lenders to inject $1 billion of new money into the company. Under the proposal, lenders will extend the maturity on $5.7 billion in debt, with no amortization payments due until 2020. Should lower-ranking creditors join the proposal, $2.3 billion in unsecured bonds would be converted into a 15 percent stake in the company, Seadrill said in a statement. “The restructuring agreement we signed today is a comprehensive plan that raises over $1 billion of new capital,” Anton Dibowitz, chief executive officer of Seadrill Management Ltd., said in the statement. The new capital “is underpinned” by Hemen Holding Ltd, the company’s largest shareholder, Dibowitz said. 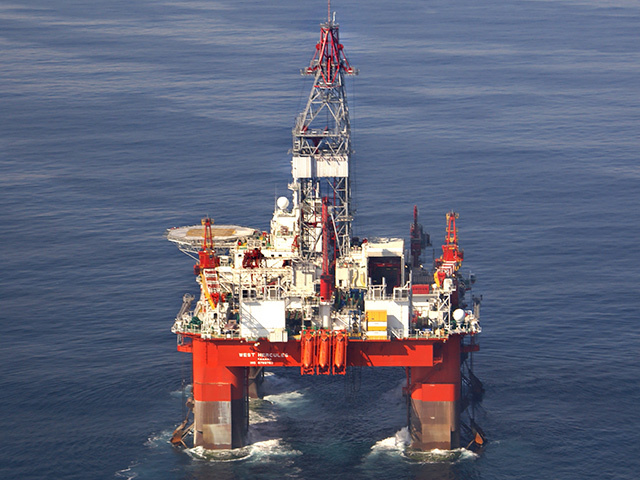 More than 40 percent of bondholders support the plan along with 97 percent of Seadrill’s secured bank lenders, he said. The $1 billion investment will be comprised of $860 million in secured notes and $200 million in equity, according to the company statement. The company’s Chapter 11 petition Tuesday said that Seadrill had struck two deals to help it reorganize under court protection: a restructuring support agreement and an investment agreement. The initial court filing didn’t include details about either deal. The company must get court permission to sign the lender proposal, which will then be incorporated into a reorganization plan that will go to creditors for a vote. The judge will take that vote into consideration before deciding whether to approve the plan. Fredriksen has been trying to strike a deal with creditors for the last 18 months. Earlier this year the company announced a self-imposed deadline of Sept. 12 to file a Chapter 11 reorganization case in U.S. Bankruptcy Court. That’s just three days before $843 million of bonds mature. The company listed a range of $10 billion to $50 billion in debt and in assets in its petition, which was filed in federal court in Victoria, Texas. Deutsche Bank Trust Co. was listed as the company’s biggest unsecured creditor with bond debt totaling $1.74 billion. Samsung Heavy Industries Co. said Wednesday it has been in discussions with Seadrill on delaying deliveries of two vessels. Daewoo Shipbuilding & Marine Engineering Co. said it has already set aside provisions for possible losses on its order of two drillships and isn’t concerned about additional losses arising from the latest development. Hyundai Heavy Industries Co. said it doesn’t have any outstanding order with Seadrill. Seadrill has hired Kirkland & Ellis LLP as its bankruptcy law firm, Houlihan Lokey Inc. as financial adviser, and Alvarez & Marsal as restructuring adviser.